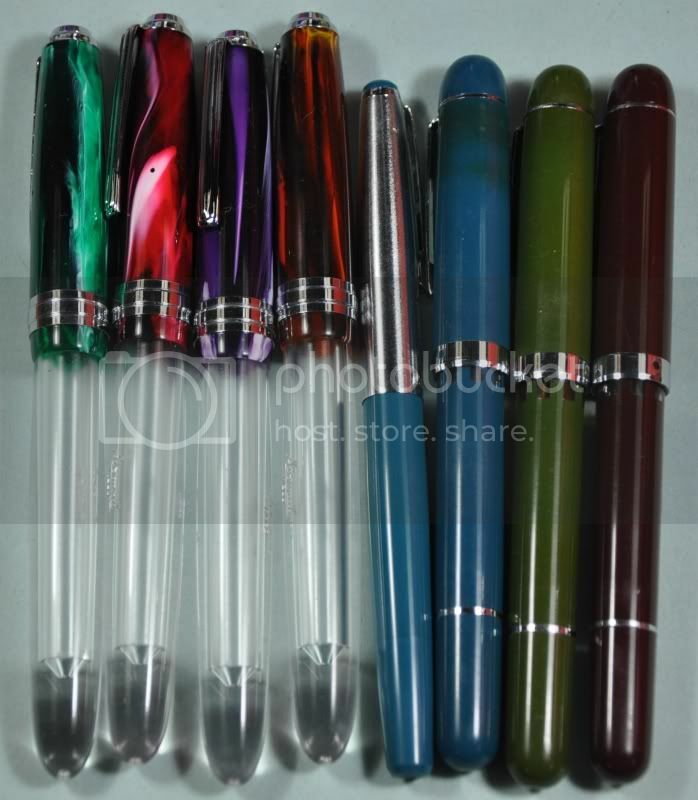 all prices include registered trackable shipping, discount on two or more pens 5$ off the total. Shipping to where, anywhere, CONUS? It may be trackable, but is it insured? Edited by Drone, 19 March 2011 - 09:44. Are these 71JT or 69TL? Received #3 and #7 myself recently, in good time, and am very happy with them! #5 arrived the other day. Great little pen! Orange and green Airmail remaining. I have more than one Airmail eyedroppers, have had no problems and have thoroughly enjoyed them. Adding to my eyedropper collection, I purchased the Airmail eyedropper in purple (#3), it arrived safely, in perfect condition, will be inked this evening and added to rotation. which if any of these are left? 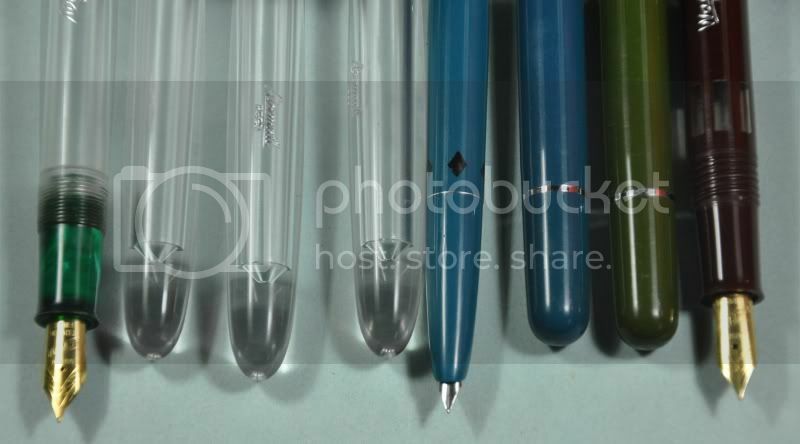 Orange and Green Airmail pens, Gray and Green Wality piston fillers. Got my pens yesterday, a purple eyedropper and a burgundy piston filler. 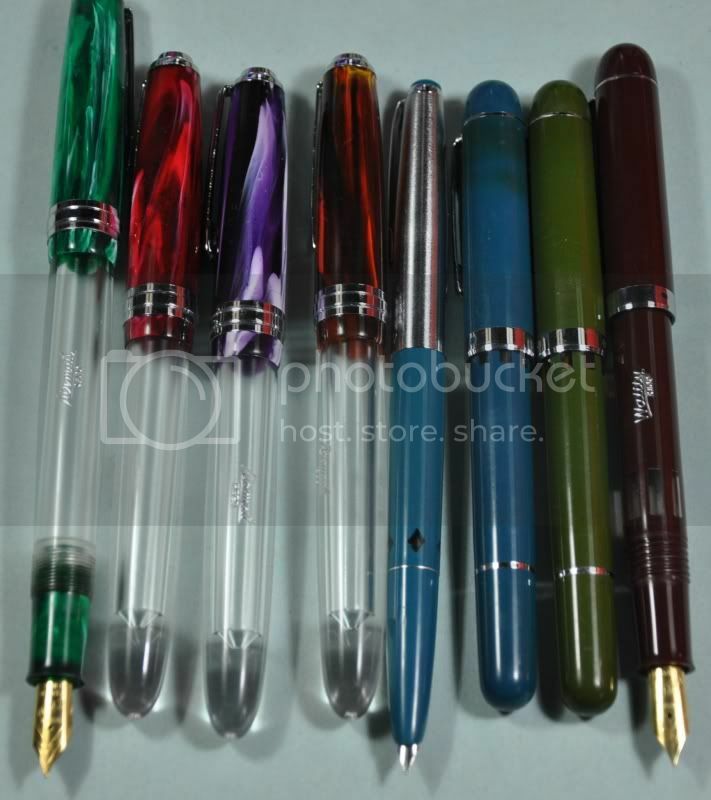 This is my second order from Ashish and again I am very satisfied with both the pens and dealing with the seller. I did my usual rinse under the tap, and had a look at the nibs with a loupe. The tines were perfectly aligned, the iridium tipping even on both tines. Both pens wrote smoothly with no problem whatsoever. The only thing I had to change was the brown grease which showed through the clear parts of the pens (nothing wrong with the brown grease though, I just wanted a clear grease). Wiped off as much as I could from the eyedropper threads and applied silicon grease. I haven't taken the piston filler apart yet, but I will eventually just to remove the brown grease on the piston. I'm very happy with this purchase. Both the pens and the seller are highly recommended! Edited by epic, 03 May 2011 - 04:26.